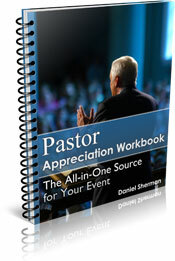 All you need to create a memorable pastor tribute is gratitude for your pastor and a little creative planning. You searched for and found this site so I know you are already thankful for your pastor. Now use the guidelines and ideas below as a starting point for designing the perfect tribute for your pastor. Not sure what type of tribute to give your pastor? Use these guidelines to help answer that question. But remember, they’re just guidelines… they’re not law. When was the last time you paid tribute to your pastor? The longer it’s been … the more elaborate it should be. Is this a special occasion such as 10 years at your church, or 25 years in ministry? The more significant the event … the more elaborate your pastor tribute should be. How emotionally attached is your congregation to your pastor? The deeper the relationship … the more elaborate your pastoral tribute should be. The best ideas for your tribute are ones that fit the character of your church and the personality of your pastor. Use the suggestions I’ve listed below to help you brainstorm your own unique pastoral tribute. Combine several ideas to create an elaborate tribute. Brag about your pastor here on My-Pastor.com! Use this form to tell me why you appreciate your pastor. I'll put your thoughts (and an optional picture) on a separate web page so everyone can see what you think of your pastor! Create a Smile Box! Create a free Smilebox scrapbook, ecard, or slide show in 5 minutes. Just drag photos into amazing e-designs. Email them free. Write a biography as a tribute for a pastor. Interview his family members, friends, professors, Sunday School teachers and youth leaders at the church where he grew up, and people from his previous churches or ministries. You can probably even interview your pastor without telling him exactly what you are doing. Then put all your stories together in narrative form. Present the first copy to your pastor. Then give copies to everyone in the church, everyone you interviewed, and anyone else you might think of. Create a DVD clergy tribute. Collect photographs, video interviews of friends and family, and short videos of ministries around the church. Have someone combine all these elements into a lasting tribute on DVD. Give your pastor a plaque with a message of appreciation on it. He can hang it in his office or at home. Hang a plaque in a central location in your church with a message of pastor appreciation on it. Make a financial donation in your pastor’s name to his favorite charity, school, medical research, or mission. Name a building or room after him; for instance, the Pastor John Smith Library. Devote a church service to him. You could include a pastor poem, a pastor appreciation sermon, and a pastor skit. Hang a large portrait/painting of him in the church. It could be a picture of him preaching, praying, ministering around the church, or in a formal sitting. Do a, “This is Your Life,” presentation. You could include the DVD idea I mentioned above. You don’t need to worry about making the “perfect” tribute for a pastor. When it comes to showing your appreciation, it really is the thought that counts. But if you combine your appreciation with some creative ideas, your pastor tribute will definitely be a success. 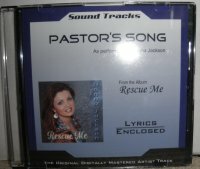 In addition to these pastor tribute ideas you may also want to look at some pastor appreciation ideas. Sign up for our monthly ezine, My-Pastor Minute.